History is about so much more than memorizing facts. It is, as more than half of the word suggests, about the story. And, told in the right way, it is the greatest one ever written: Good and evil, triumph and tragedy, despicable acts of barbarism and courageous acts of heroism.The things you've never learned about our past will shock you. For example, the reason why gun control is so important to government elites can be found in a story about Athens. Not the city in ancient Greece, but the one in 1946 Tennessee. When Eddie was 12 years old, all he wanted for Christmas was a bike. Although his life had gotten harder - and money tighter - since his father died and the family bakery closed...Eddie dreamed that somehow his mother would find a way to have his dream bike gleaming beside their modest Christmas tree that magical morning. What he got from her instead was a sweater. "A stupid, handmade, ugly sweater" that young Eddie left in a crumpled ball in the corner of his room. If you think you know George Washington, think again. This is the amazing true story of a real-life superhero who wore no cape and possessed no special powers—yet changed the world forever. It's a story about a man whose life reads as if it were torn from the pages of an action novel: Bullet holes through his clothing. Horses shot out from under him. Unimaginable hardship. Disease. Heroism. Spies and double-agents. And, of course, the unmistakable hand of Divine Providence that guided it all. Just a generation ago this place was called America. Now, after the worldwide implementation of UN-lead program called Agenda 21, it's simply known as the 'Republic'. There is no president. No congress. No Supreme Court. No freedom. Woken up to the harsh reality of her life and her family's future inside the Republic, Emmeline begins to search for the truth. Why are all citizens confined to ubiquitous concrete living spaces? Why are Compounds guarded by Gatekeepers who track all movements? Why are food, water and energy rationed so strictly? And, most important, why are babies taken from their mothers at birth? As Emmeline begins to understand the true objectives of Agenda 21, she realizes that she is up against far more than she ever thought. With the Authorities closing in, and nowhere to run, Emmeline embarks on an audacious plan to save her family and expose the Republic - but is she already too late? 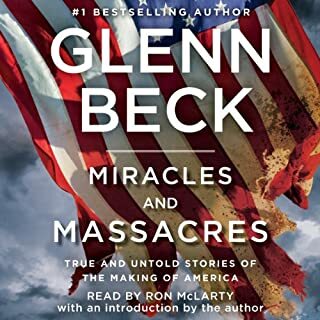 ©2012 Simon & Schuster, Inc. (P)2012 Mercury Radio Arts, Inc. I've heard this book marketed as the "1984" of the new millennium. Given the subject matter and the important message it seeks to communicate - it well *could* have been, but inexperienced writing and a story that ends far too abruptly will keep it from capturing that title. And I make that statement as someone who regards "1984" as one of my all time favorite books. 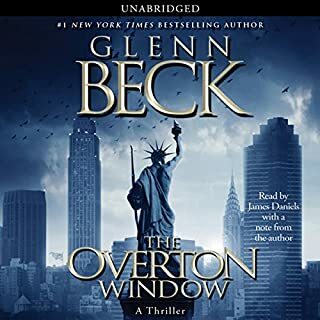 While Beck's skill at novel writing has definitely improved since "Overton Window", this story just doesn't quite "make it." There are many repetitive dialog devices used over-and-over again, often times within the same couple of sentences and to my great annoyance. It was to the point of becoming predictable - and that is not a good thing. The main character, which we understand to be a young woman, is rendered to be a bit too immature given her harsh living conditions to be believable. Imagine you took a 17 year old spoiled American mall rat and dumped her in the middle of a dystopian nightmare which, she supposedly grew-up in. Doesn't really work, does it? The atmospherics of the "compound" and the eco-Nazi lifestyle of the citizens was developed much better than most of the characters, and one can almost see and feel what life would be like living under such conditions. Moreover, because this story is essentially an extrapolated trajectory of the hopes and aspirations of the more extreme elements of the "Green" movement, it provides an additional source of realism and does a decent job of communicating its primary warnings. The story is very short, which doesn't have to be a bad thing, but in this case I don't feel that it works. Did the authors run out of plot ideas, or are we simply being setup for a serialized story? Whatever the reason, I came away feeling a bit "jipped" - not so much because I needed a neatly packaged closure to the story, but because I felt it failed somehow to deliver that essential existential "kick" that the "1984 of the new millennium" should. I'd say Agenda 21 is a decent read with a very important and timely message. 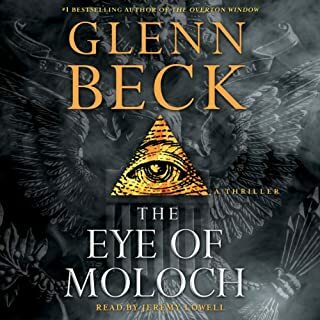 If you are curious to understand what the real Agenda 21 is and how it could potentially play out into the future, this isn't a half bad introduction and it is at least, entertaining and not dry. very cool way to get information out to the public, the story is frightening, but just wait for it. it gets even more frightening when you begin to understand your not just reading a story! This is a chilling if somewhat paranoid tale of the future. This is billed as a worst case future of what would happen if the UN gets to rule the USA. 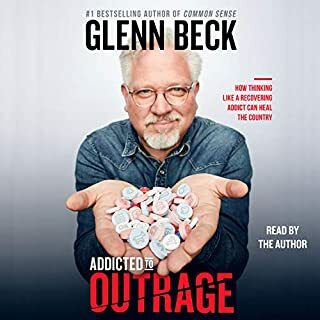 As a fictional story it was a very good listen. The ending was somewhat disappointing, and left me wanting more. Maybe there is a sequel. While I don't see the worst happening (and I don't think the author does either), as a child of the early fifties the current erosion of freedoms does parallel what the book portends. It was so good we also got the Kindle version. First time getting both versions of a book. Clearly there's a sequel in the works, but I kind of resented having the cliff-hanger come where it does. I felt there was no pay-off for having read all the way to the end. Which character – as performed by January LaVoy – was your favorite? Not unless there was more to the story and it actually had a resolution, instead of ending right in the middle of the climax. This book was pretty depressing and it took a very long time for me to root for the main character. Just when she begins to show some heroism, the book ends. The whole book seemed like a first act, and the moment the first plot point came, it ended. I don't think I'll care enough to purchase a sequel. It also seemed clumsy in some ways. It would have read better if they had just used real words for things: kitchen instead of "eating space," bathroom instead of "washing up area," etc. 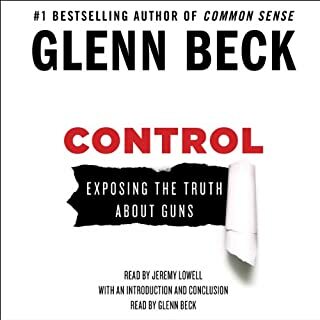 I realize the authors were trying to make a point about the consequences of the real Agenda 21, but they may have over-reached to the extent that it made the story seem too far-fetched and unrelatable. That may have caused them to miss the opportunity to raise awareness about Agenda 21 and how it is already beginning to happen in our lifetime. Coming soon to a neighborhood near you....yours! If you could sum up Agenda 21 in three words, what would they be? What was one of the most memorable moments of Agenda 21? Dash across the forbidden center stage. The realization that there were potential free people outside the fence fending for themselves but still free. A foreign concept to the younger ones in the prison colonies. I was one that already knew fully about the evil of the agenda 21 project before this was written. I had my own ideas what the extreme could look like and frankly, I think it will end up just as bad if not worse.We are going here...there are too many weak minded, takers, in the world now to stop this. I just hope I am dead before it gets too far. 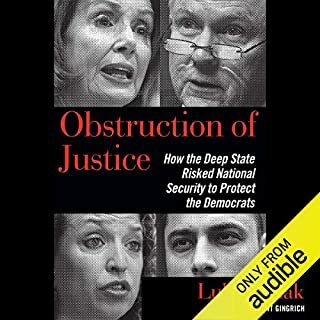 Please...even if you do not buy this book, at least look into agenda 21. It is secretly found now in almost every community planning commission. It may be called Agenda 21 or a number of different names. A true sign it is starting is the high density neighborhood. The goal being to force all people into high rise, tightly squeezed housing area. You will not be driving any longer. Stores, business, and homes will be tightly woven into the area to stop car ownership and promote walking only.Animals will acquire "rights" that will be very powerful. There will be huge human free zones, similar to the ones set up for marine right now, that will be positively of limits to humans. Your food, your activity, and health will be judged by government panels and dealt with if out of "their normal".Don't think so...can't happen here...I feel very sorry you will have to live this way. I will never let them do this to me. By the way, this is only the mild part of the Agenda 21 plan.It gets more hideous as they gain more control over the people. Again, it not a theory or a conspiracy, they are starting to implement this across our country and around the world. You can that the wonderful UNITED NATIONS for this! It may seem far-fetched until you watch the evening news. Then you wonder how they could've gone so far already. The UN must be stopped on agenda 21. This story points out the flaws of a socialist agenda in graphic detail. Would you listen to Agenda 21 again? Why? No, I am not likely to forget any of it anytime soon. You are slowly drawn into the lead character and her circumstances. I am a senior male, yet the empathy I came to feel, for a teen girl, a survivor, heroic in a way few understand, is deep and real. 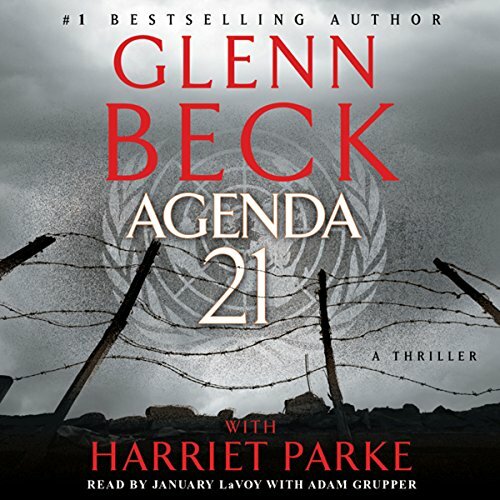 What other book might you compare Agenda 21 to and why? Brave New World, This Perfect Day, and 1984. As an accomplished an author, not yet. A grasp of the unholy and real dangers of things set in motion in our time? Most definitely. No, I prefer Charles Laughton and an flat powerful voice, but she also drew me in. Not that kind of book, although I almost cheered at the end. It will stay with you, to be mulled over, savored perhaps. An avid reader for fifty years, I miss the written word. Listening is an acquired taste. After a decade of trying, I finished a book at last, this one. Not the best writing or story, but it's the message that needs to be heard by every American. wake up... shock the Sheeple... Never trust the power... understand your rights, and demand to keep them, or lose them forever!